If you’ve never worked with knits before, The Seasoned Homemaker has a great tutorial that will take the guess work out of sewing with the “stretchy stuff”. Learn everything from how knits are weaved to the different types available. 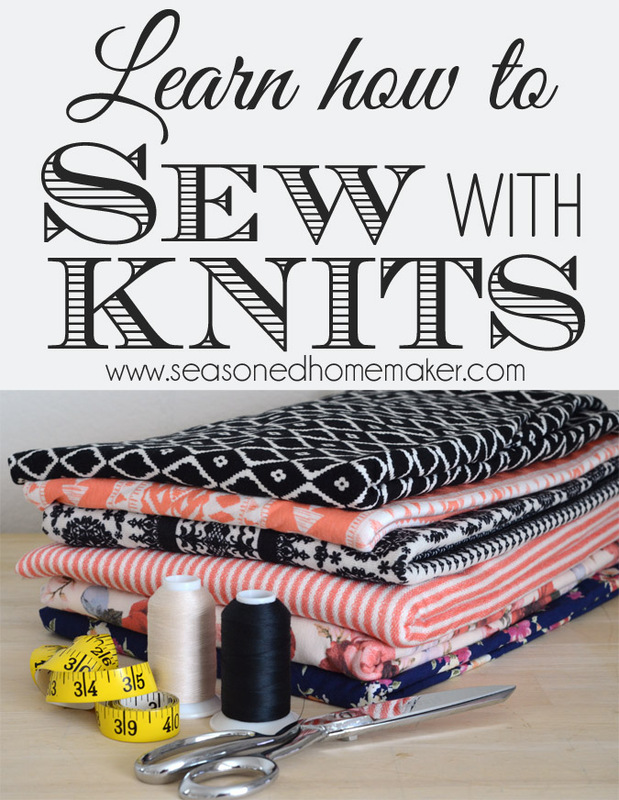 This informative article on sewing with knits is great info for beginners and more experienced sewers.